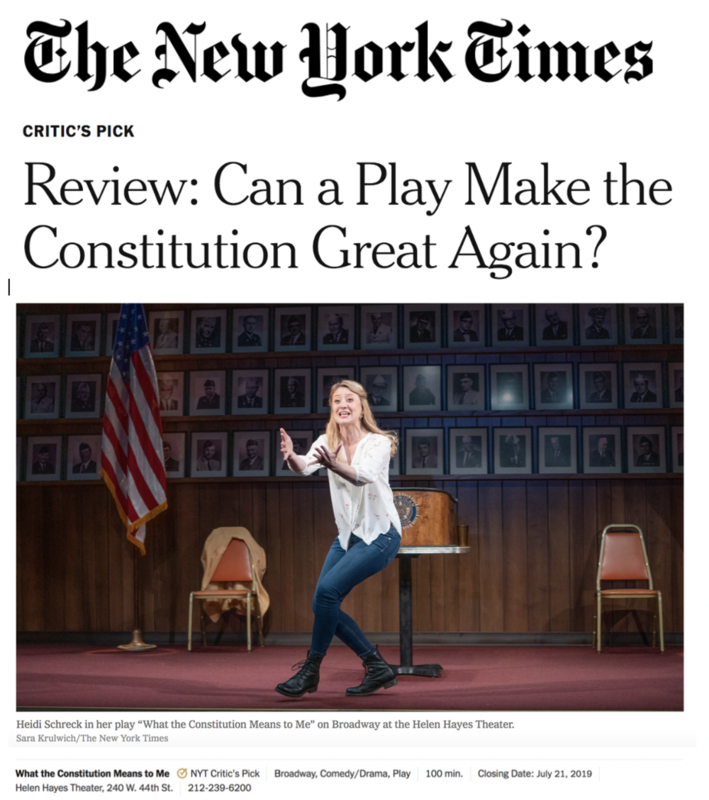 Direct from its revolutionary Off-Broadway run, 2019 Pulitzer Prize Finalist WHAT THE CONSTITUTION MEANS TO ME has arrived on Broadway for a limited engagement. This boundary-breaking play breathes new life into our Constitution and imagines how it will shape the next generation of American women. Fifteen-year-old Heidi Schreck earned her college tuition by winning Constitutional debate competitions across the United States. 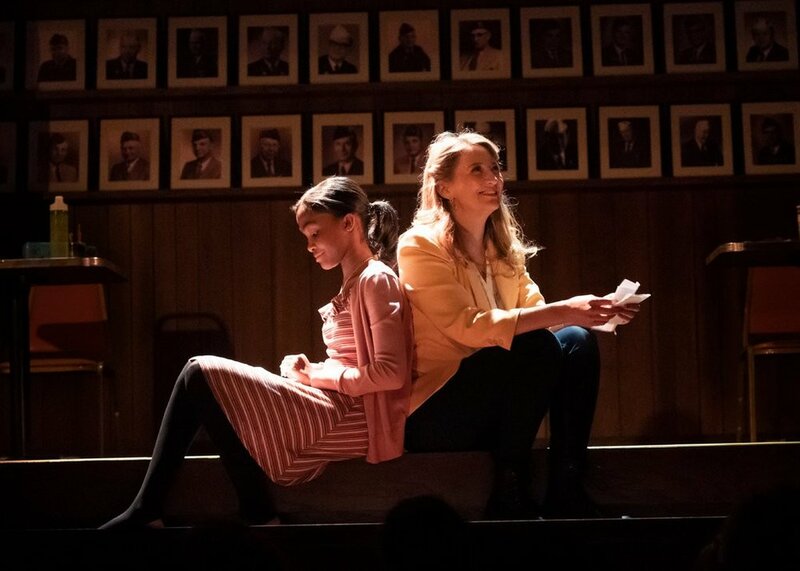 Now, the Obie Award winner recalls her teenage self in order to trace the profound relationship between four generations of women in her own family and the founding document that dictated their rights and citizenship. Tickets and more information are available at www.constitutionbroadway.com.